Since introducing the world’s first totally solid state, high power radiobeacon in 1970, Nautel has supplied the highest quality and reliability in non-directional radio beacons. The most recent Vector Series Transmitters and Antenna Tuning Units continue this heritage and provide a dramatic improvement in system coverage. Constant field strength output for higher system availability. Automatic resistance matching for higher system availability. 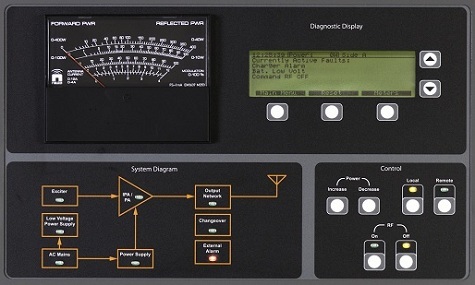 Sophisticated graphic user interface (GUI) for easy maintenance and troubleshooting. Available in single or dual (main/standby with automatic changeover) configurations. 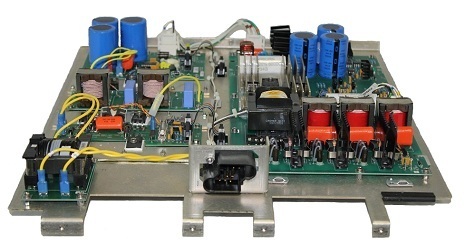 Synthesized exciter uses advanced DDS technology to produce highly stable RF drive at the desired operating frequency. Extensive automatic fault monitoring, with 256 event log, for faster troubleshooting. Extensive remote command/control and monitoring for fewer site visits. Remote control and monitoring of the ATU to limit worker exposure to strong RF fields, in keeping with Safety Code 6 / IEEE C95.1-1999. Optional control/monitoring of NDB site. Compliant with the specifications and recommendations of ICAO Annex 10, Vol. 1, Part 1, Section 3.4. High overall efficiency (70% or better) results in low power consumption and reduced operating costs. The transmitter and ATU-LP communicate via a serial data bus that allows the transmitter to monitor the antenna current. 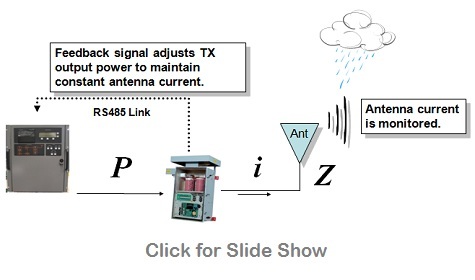 The transmitter can automatically (user enabled feature) adjust its output power to maintain a constant antenna current, thereby maintaining constant field strength of the radiated signal. This feature is unique to Nautel NDB systems. The ATU not only automatically matches the capacitive portion of the antenna impedance using dual astatically wound loading coils but also automatically matches a +/-2:1 (4:1 overall) change in the resistive portion of the antenna impedance. This feature virtually eliminates seasonal visits to NDB sites to re-tap the traditional fixed-tapped matching transformers and is unique to Nautel ATUs. 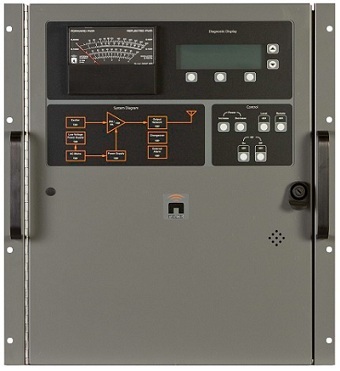 Located on the front panel of the transmitter, the GUI allows for set-up, control and monitoring of the NDB without the need for a local computer or laptop. The extensive built-in automatic fault monitoring, self-test (BITE) and 256 event log is easily accessible via the GUI for faster troubleshooting. The ATU may also be controlled and monitored via the GUI to limit the operator’s exposure to the strong RF field of the antenna in keeping with Safety Code 6 / IEEE C95.1-1999. Remote command/control and monitoring of the NDB transmitter and ATU is available via the optional VR-Link remote control and monitoring system. System diagnostics and access to the 256 event log are also available via the VR-Link. The VR-Link hosts a web page that can be accessed by any standard web browser so no special software is required at the remote PC/laptop. Remote connectivity options include RS-232, RS-422, leased-line, dial-up, radio and GSM/GPRS modems, and Ethernet. The Site Interface option provides control and monitoring of other equipment and sensors (smoke, fire, intrusion) located at the NDB site. 16 optically isolated inputs and 16 dry (relay) contact outputs allow for easy interfacing. Control and monitoring of these inputs/outputs are available remotely via the transmitter remote control and monitoring system. 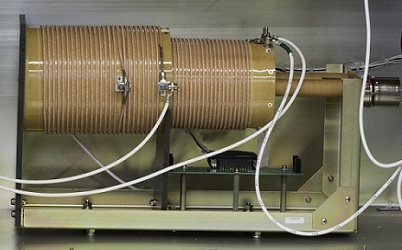 The use of Class D RF amplification and Pulse Duration Modulation (PDM) techniques results in low power consumption and reduced operating costs.